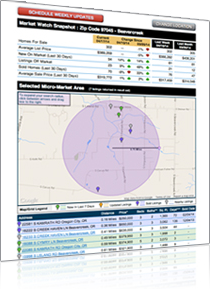 With our innovative Market Watch report you can see how your current property and areas your interested in moving to compare to today's market. 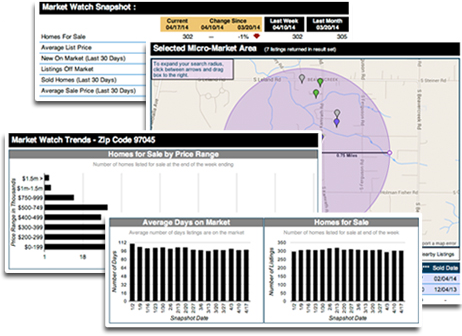 Let us help find you current prices, listings and trends in a any market area. Get started today! Las Vegas stands as the largest city in Nevada and one of the most well-known cities in the world. With a highly sought-after year-round desert climate, Las Vegas sits in the Mojave Desert, surrounded by the Spring Mountains. Las Vegas sits in an area ripe in amenities: golf and outdoor activities are highly valued. First class master-planned and age-restricted communities have become a popular Las Vegas feature (along with its casinos, shows, hotels and nightlife). With hundreds of miles of walking, running, and bike trails and paths, Las Vegas residents have a high quality of life. McCarran International Airport is only minutes from the city, and those looking to explore other metropolitan areas outside of Nevada (Los Angeles, San Diego and Phoenix) only have a few hours drive. While the popularity of the Las Vegas Strip has given the city a party vibe, Las Vegas has much more to offer its residents than shows and gambling. The Las Vegas real estate market is rebounding, and properties are available for any buyer or investor. Henderson and North Las Vegas are quickly becoming popular areas in the Las Vegas Valley. Both sit minutes from Las Vegas, and both cities have master-planned communities with access to multiple amenities. The second-largest city in Nevada, Henderson sits in the southeastern end of the Las Vegas Valley. Henderson has been voted one of the safest cities in America multiple times, and Henderson was in the Top 10 safest of the FBI's Uniform Crime Report for 2014. Henderson prides itself on its award-winning parks and recreation department, and with its year-round hot desert climate, many residents spend a lot of time outside on the miles of trails the city provides. North Las Vegas has the climate craved by many as one of the driest areas in the United States. North Las Vegas is Nevada's fourth-largest city and has views of the striking Las Vegas Range from where it sits in the Las Vegas Valley. North Las Vegas has become a leading location for green and high-tech businesses with its proximity to major transportation (railways, interstates and airports), and the real estate market provides hundreds of options for all buyers and investors in all price ranges.